White paper envelope with cancelled Kansas Centennial stamp. 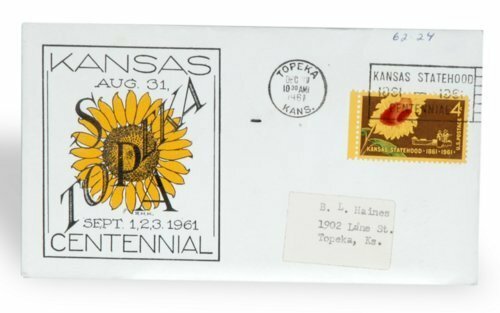 This envelope and stamp was produced to commemorate the Kansas Centennial in 1961. In 1962, the letter's recipient donated the envelope.